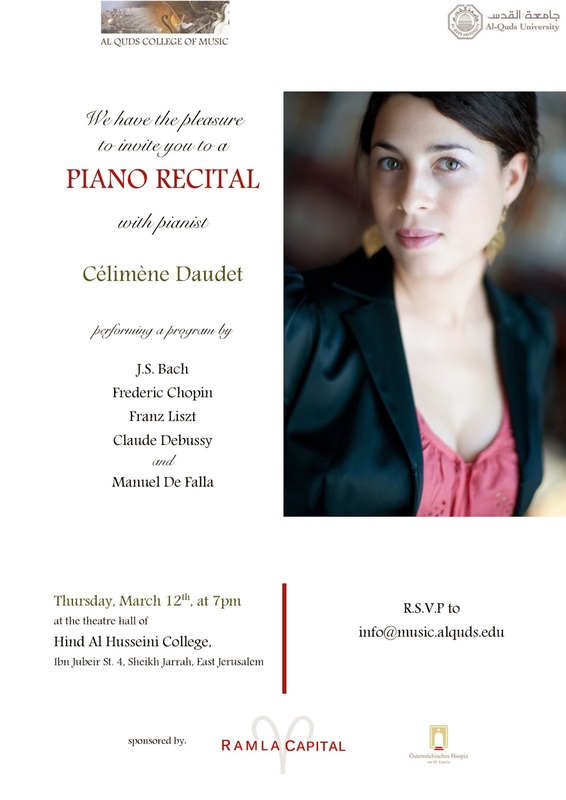 We are looking forward to the return of french pianist Célimène Daudet to Jerusalem. After enchanting us with a divine piano recital last season, the celebrated young pianist will now come back for another solo concert at Hind Al Husseini Theatre Hall as well as for more musical encounters with our students in Jerusalem and Abu Dies as well as at Shuafat refugee camp. 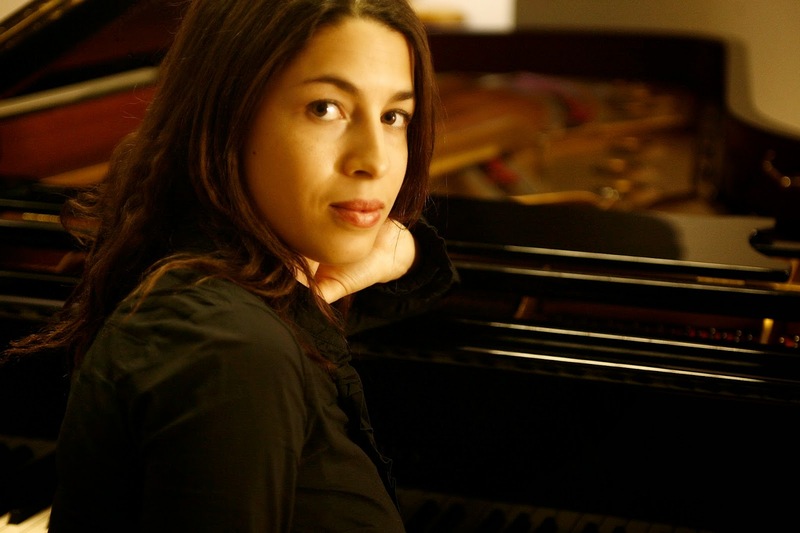 Prizewinning pianist Célimène Daudet performs as soloist throughout Europe, Asia and North America. Latest engagements include concert performances in Moscow, Washington, Minneapolis, Kansas City, Beijing, Hanoi, Shanghai, the “La Roque d’Anthéron” festival, the National Opera of Lyon, the Opera d’Avignon, MC2 in Grenoble and the Halles aux grains in Toulouse. Last season she gave her acclaimed Carnegie Hall debut as well as her debut at the Châtelet Theatre in Paris. Célimène Daudet’s first solo album “A tribute to Bach” as well as her latest release the “Art of Fugue” have been appraised by the French and foreign press and received numerous awards. We hope to have the pleasure to welcome you as our guest at one of Célimène Daudet's breathtaking perfomances.